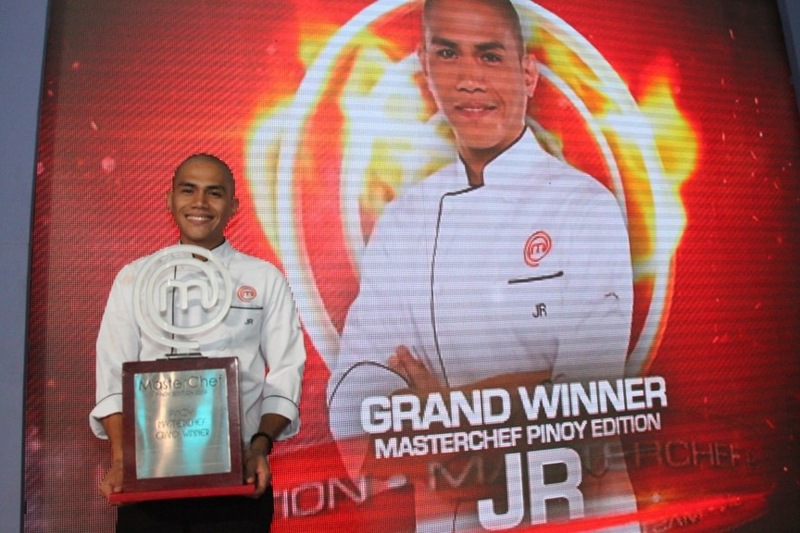 After months of cooking, frustrations and even kitchen burns, finally, JR Royol or “The Rakistang Kusinero of Benguet” was hailed as the first ever Pinoy MasterChef Grand Winner after conquering the “MasterChef Pinoy Edition: The Live Cook-off” grand finals last February 9 at the SM North Edsa Skydome. JR prepared his winning Bigorot dish (“Bigorot” is his wordplay on the words “Bicolano” and “Igorot”) to honor his parents, his heritage and the Cordillera region from which the dish’s organic ingredients were grown and acquired. JR besting the female cooks Carla Mercaida of Bulacan (hailed as the 2nd placer for her Adobong Tuna at Kaning Dilaw) and Ivory Yat of Quezon City (placed 3rd with her Palabok Finale). 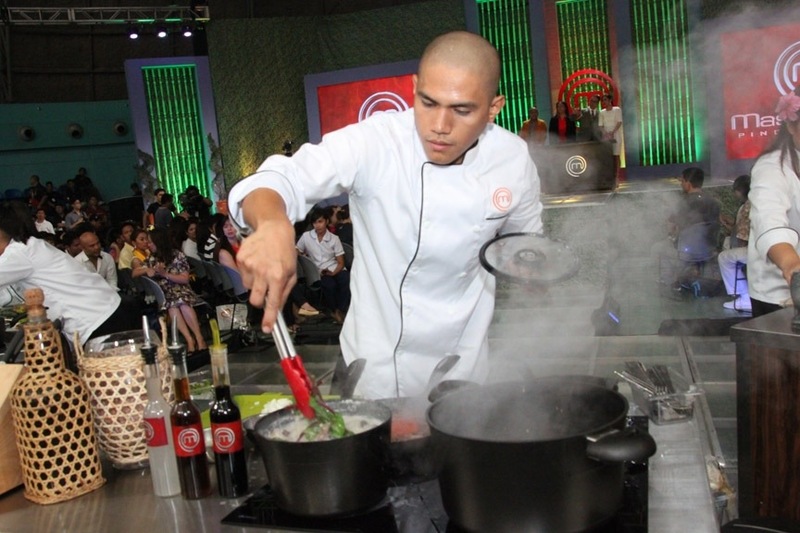 Myra, who failed to participate in the live cook-off, was automatically declared the 4th placer after getting the lowest average score in the competition’s first two-part challenge. 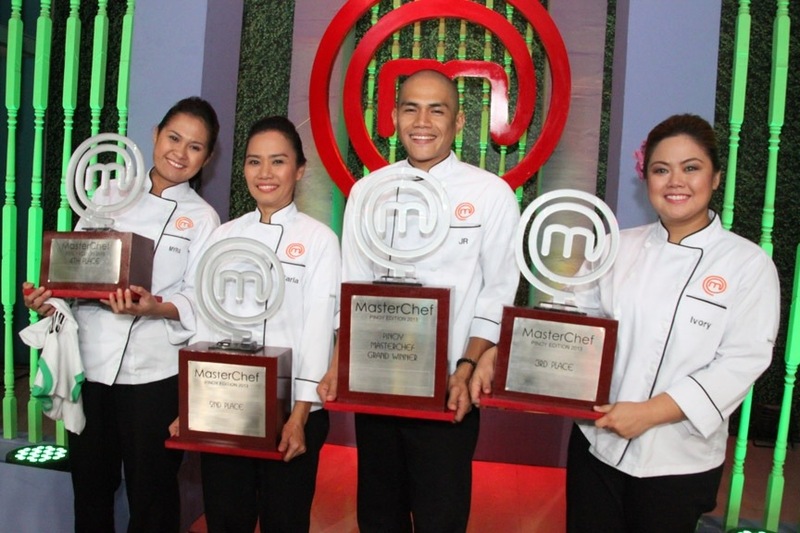 The 1st ever Pinoy MasterChef grand winner took home a whopping Php1M, a kitchen showcase and a Diploma Program for Professional Culinary Arts scholarship at the Center for Asian Culinary Studies, while Carla, Ivory, and Myra won P500,000, P300,000, and P200,000 respectively. They will also get a kitchen package and a scholarship at the Center for Asian Culinary Studies. You are Here >> Home » Events » Congratulations JR!